By: Adler, Frederick R.; Tanner, Colby J. As humans have come to dominate the earth, the ideal of studying and teaching ecology in pristine ecosystems has become impossible to achieve. Our planet is now a mosaic of ecosystems ranging from the relatively undisturbed to the completely built, with the majority of people living in urban environments. 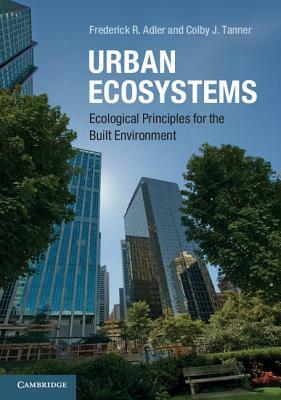 This accessible introduction to the principles of urban ecology provides students with the tools they need to understand these increasingly important urban ecosystems. It builds upon the themes of habitat modification and resource use to demonstrate how multiple ecological processes interact in cities and how human activity initiates chains of unpredictable unintended ecological consequences. Broad principles are supported throughout by detailed examples from around the world and a comprehensive list of readings from the primary literature. Questions, exercises and laboratories at the end of each chapter encourage discussion, hands-on study, active learning, and engagement with the world outside the classroom window. Author Name: Adler, Frederick R.; Tanner, Colby J.